The growth in the use of referendums in Europe in the past decades is often portrayed as a direct democracy shift. This is a misconception that stems from a bias towards explaining aggregated increases in referendums, as well as the tendency to contrast referendums to representative democracy. This does not do justice to the diversity of types of referendum available and used. Most European countries have held only few referendums, and have done so only on exceptional occasions. Moreover, most referendums are held by, and serve the interests of, politicians. 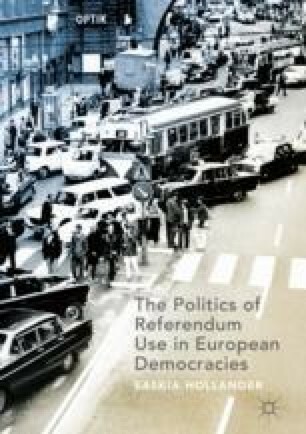 This chapter outlines the book’s fourfold aim of (1) providing a classification of referendums; (2) providing an overview of referendum legislation and use in EU countries; (3) assessing the factors that drive referendums; and (4) examining, by comparing referendums in France, Denmark, the UK, Sweden and the Netherlands, why they are used more often in some countries than in others.